And so it starts. I'm sure words like 'European melodic metal supergroup' will be bandied about for Serious Black. The band does have a suitable cast of characters, well-known musicians with a boatload of talent. Serious Black is Roland Grapow (Masterplan, ex-Helloween) on guitar, Thomen Stauch (ex-Blind Guardian) on drums, Mario Lochert (ex-Visions Of Atlantis) on bass, Dominik Sebastian (Edenbridge) on guitar, Jan Vacik (ex-Dreamscape) on keyboards and Urban breed (Project Arcadia, Trail of Murder) on vocals. The principal founders were Grapow and Mario Lochert, from the Summer of 2013. With this much talent you would expect both the songs and music of As Daylight Breaks, their debut album, to be somewhat impressive and entertaining, and you would be right. Alternatively, Serious Black is not reinventing the wheel. 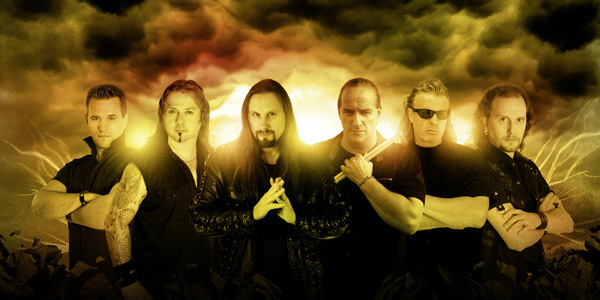 This is basic and essential melodic heavy and power metal of the European variety, plain and simple. As such, the arrangements offer the tried and true elements which make the the genre both versatile and entertaining. There's a solid foundation of melody and harmony, whether from guitar riffs and leads or the vocal harmonies. To the former, the guitars large and present, but the riffs never abrasive. And the leads soar. What else would you expect from Grapow? To the latter, Urban breed is in his element here as he is one of the best melodic metal vocalist out there. While always clear and clean, he can be raging on heavier songs like Sealing My Fate or Older and Wiser. Then he's smooth and light on the title cut, a metal ballad. His band mates back him up for some nice harmony. Another significant element within many tunes is a generous rock groove made lively by the rhythm section. Notable is Setting Fire to the Earth, but better is the groove within Listen to the Storm. Perhaps the most accessible number of the bunch, it has an amazing catchy melody and a terrific vocal line. The song is easily my favorite, but I wonder why it wasn't picked as the first single. It's also one indication of the final element within Serious Black's melodic metal: Jan Vacik's keyboards. The add additional boldness and density to many songs, Akhenaton by example. Then within the title track the offer both the symphonic texture and light piano to the song. Having said these things, the conclusion is rather simple: Serious Black's As Daylight Breaks is a finely crafted and expertly played album of melodic heavy and power metal, and so quite entertaining. Put on your must buy list. Recommended. 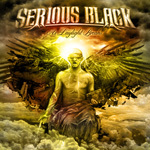 Serious Black's As Daylight Breaks is a finely crafted and expertly played album of melodic heavy and power metal, and so quite entertaining. Put on your must buy list. Recommended.